In the six years we've been doing the show, we only just barely talked about the TV show Heroes. It's never mentioned on the Big Bang Theory either, which I can't figure out. The writers must not be fans. 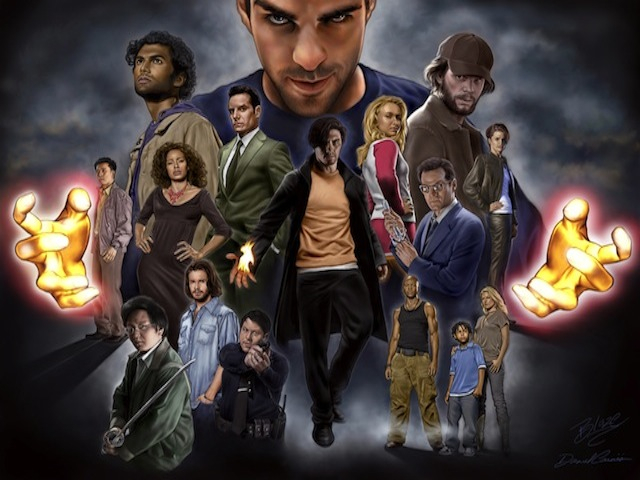 Heroes was a massive hit when it started and then as each subsequent season followed it spiraled down in the ratings until it was eventually canceled after season 4. For me, the first season was the best season and each season after wasn't as good, but the series as a whole was still awesome and I think as a series, it's underrated. The writing was great, the premise was great, the effects were great, yes, some of the acting was over the top, but it's supposed to be about comic book type characters. The acting is allowed to go over the top a little. It's usually a series I watch yearly and recently started my friend Eva on it. She's officially hooked and finished the first season in less than a week. I was going to ask her to write her own blog about it but she's in the middle of season two right now and I don't want to disturb her. She might hurt me. 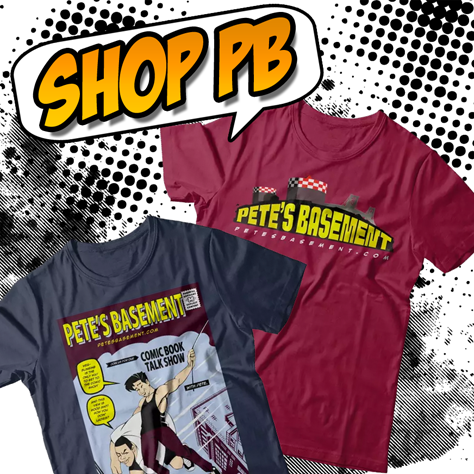 You can look at many of the characters with special abilities and go "oh, he/she is just like...from......"
Milo Ventimiglia who plays Peter Petrelli was interviewed by our very own Danny in 2008. Milo was promoting his own comic Rest at the time. As the series goes on you meet a Flash character, an Electro character, an Ice-Man character, a Kitty Pryde character and a whole bunch of characters that can't be as easily linked to someone in the comic book world. Another cool thing is that for some of the characters, they learn how to harness their powers more. Matt Parkman who originally realizes he can read people's minds eventually learns how to push thoughts into people's minds so he can have them do what he wants them to do. He also learns how to trap someone inside their own mind and warp a person's perceptions so they lose touch with reality. There's a generational aspect to the story and a lot of the characters find out that they're connected in one way or another. Aaaaand in season one there's a character who can paint the future. Tim Sale was the one they used for the art. Thee Tim Sale. And Stan Lee did a cameo in one of the episodes as a bus driver which no-one ever seems to mention or talk about! I still get excited (not that kind of excited, calm down Ramon) even though I've seen it a bunch of times. Not every single episode is fantastic, but you're going to get some not-fantastic episodes with any series that runs for a couple of years. And for you Doctor Who fans, Christopher Eccleston plays a character is in the first season. Even graphics novels were made about the moments between the scenes or episodes from season 1. Michael Turner illustrated one of the stories. Alex Ross did the cover of volume 1. Tim Sale is involved in it as well. And speaking of Tim Sale, Jeph Loeb wrote many of the episodes. I know people have mixed feelings about his writing, but I think it's safe to say that when he writes a good story, it's REALLY good. What do you guys think? Have you seen the show? If not, what the hell are you doing? Seriously, go watch it!.....but not after you've watched or listened to our latest episode of course. That's crazy talk. So run out right now and get the DVDs.....oh lazy eh? Then stream it from Amazon. That you're allowed to do in your underwear. There's no such thing as indecent exposure if you're alone in your own apartment.....okay Ramon, calm down. Who told you to read my blog anyway? It's not like you listen when I talk when we're in the basement. I have two more words for you: George Takei. What's that? You're going to watch it? Yatta!